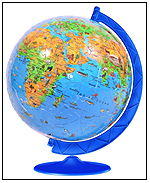 TDmonthly® - New Toys and Games: Soccer Scramble Squares from b. dazzle, inc. 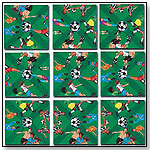 The Soccer Scramble Squares puzzle features boys and girls of many cultures playing the world's most popular team sport. This puzzle edges out our Baseball Scramble Squares as the most popular sports style and sells strongly all though the year.